Okay so I know Texas isn’t really known for its beaches, but with the heat beating down on us in the summer, the Gulf Coast is definitely a welcome sight here. Whether you want to bird watch, swim, kayak, sunbathe, build sandcastles, or go boating, we have over 350 miles of shoreline that you can enjoy with friends and family and soak up the summer sun. 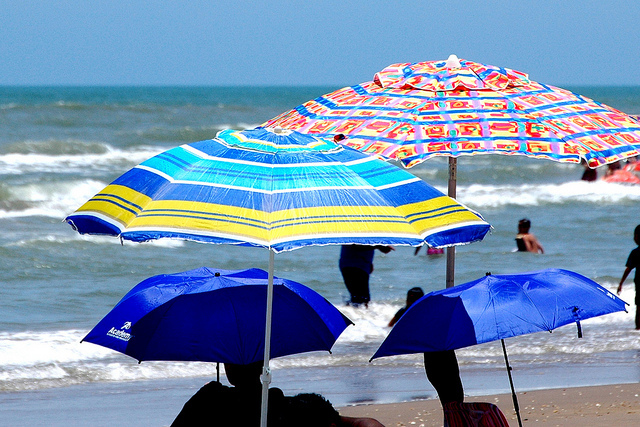 Below are 10 of the best beaches in Texas for you to enjoy! This beach has a really chill vibe, and doesn't attract the hordes of people that flock to Galveston or South Padre Island. 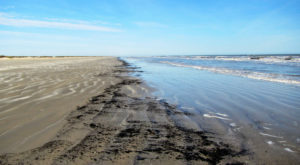 Way down in Brownsville, you'll find an eight-mile stretch of beach between the Rio Grande delta and lower Laguna Madre. 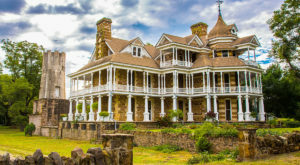 It's relatively free from tourists most of the time, so it makes for the perfect temporary escape from civilization. 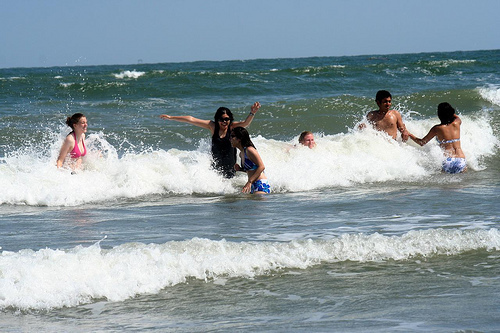 This is one of the cleanest beaches in Texas, and since it faces the Aransas Bay, it makes it safer for children to swim since there's no big waves or strong undertows to worry about. 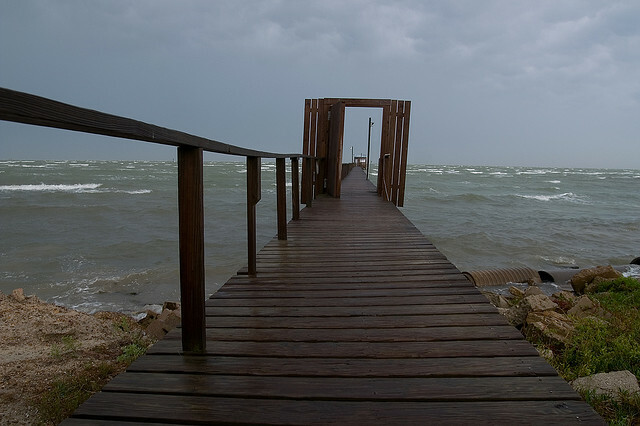 It's also considered a pretty romantic beach with a 1500 foot lighted jetty pier at the end of Rockport Harbor. 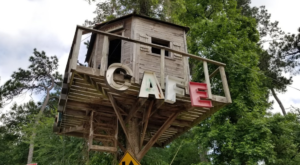 Perfect place for your sweetheart and the kids, too. People say the beaches of Galveston have been noisy, dirty, and overrun with tourists, but I disagree. 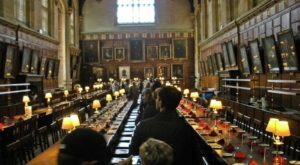 You just have to know where to go, and I know from experience to avoid the paid beaches such as Stewart, since the showers, gift shop, and umbrellas & chairs attract a huge crowd during the summer. Drive down Seawall Blvd a ways until you see Rita's and Pleasure Pier..this is the area of the island where I've found less people, and if you need food or the restroom, there's plenty of businesses across the street. You can't mention great beaches without listing South Padre Island; it's definitely a tourist hot spot though, and can get pretty rowdy with the bar scene and younger tourists. However, it's one of the best places to spot dolphins and massive sea turtles, and although I've never been, I know plenty of people who have traveled here and attested to the abundance of wildlife and beautiful beaches. Pick a nice sandy spot to lay your towel on either the Corpus Christi Bay side or the Gulf side, and if you check out the Mustang Island State Park, you can go kayaking down the Mustang Island Paddling Trails. Mustang Island is known for having the whitest, most pristine sand out of all of the beaches in Texas. This island is actually the longest undeveloped barrier island in the entire world, and it's not teeming with tourists like South Padre Island just below it. There's many beaches to choose from here, including Bird Island Basin, one of the nation's top windsurfing destinations. If you go to Malaquite Beach between June and August, you can see hundreds of baby sea turtles hatch as part of the hatchling program. However, if you just want to relax on the beach, head down to the southern part of the island, where you will find the most solitude. 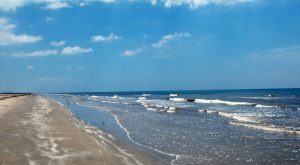 If you don't feel like taking the ferry to Galveston, you can always head to Crystal Beach on the Bolivar Peninsula; there's not nearly as many people here, and you can also rent a beach cabin if you're staying with friends or family. Located in Brazoria County near the city of Freeport, it's one of the cleanest beaches you'll find within driving distance of Houston. 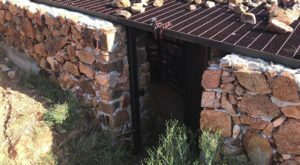 You can also make bonfires here, drive on the beach, and enjoy free parking. 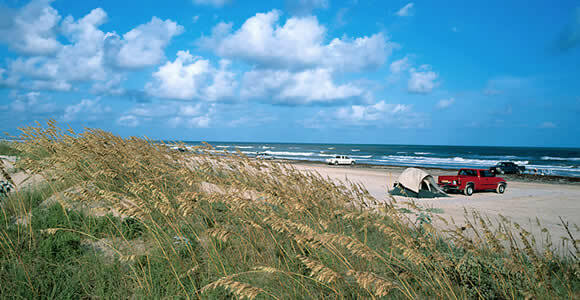 And Surfside Beach is one of Texas' best hidden beaches if you're looking to really get away. I've been to Matagorda Island, and somehow the water here looks bluer than the water in Galveston. Plus, it's not so overrun with tourists and sightseers, so I'd highly recommend this beach for families who want some fun in the sun without all the hassle of big crowds. What Cities in Texas are on the Ocean? When you have 350 miles of coast line, you’re gonna have a lot of coastal cities. If you’re looking for a big city on the coast, check out Houston. 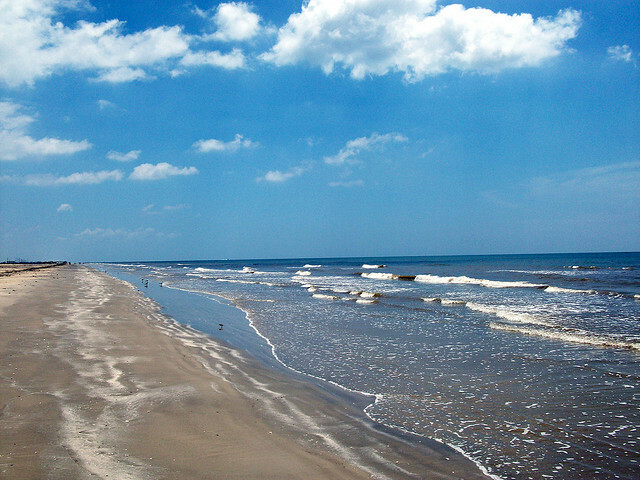 If you’re looking for a mid-sized coastal town, look no further than Galveston or Baytown. If you’re looking to escape to a tiny city on the water, we recommend Port Aransas or Rockport. Does Texas have Beaches? Uh ya. Lots of them. 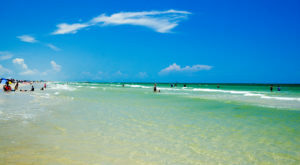 Though there might not be any beaches near Dallas or other inland cities, there are lots of flights that can get you to the sand in about an hour or 3-4 hours by car. Do Texas Beaches have Clear Water? Yes! 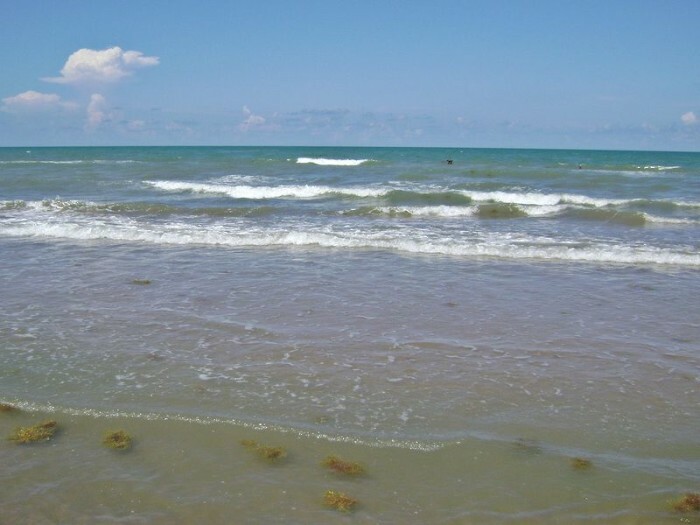 In our opinion, Padre Island has the prettiest and cleanest water out of all the gulf cities.The water is crystal clear blue/green and the sand is sparkly smooth white. Do Texas Beaches have Waves? Absolutely! South Padre Island may be known as a Spring Break destination, but it’s also world-class waves. 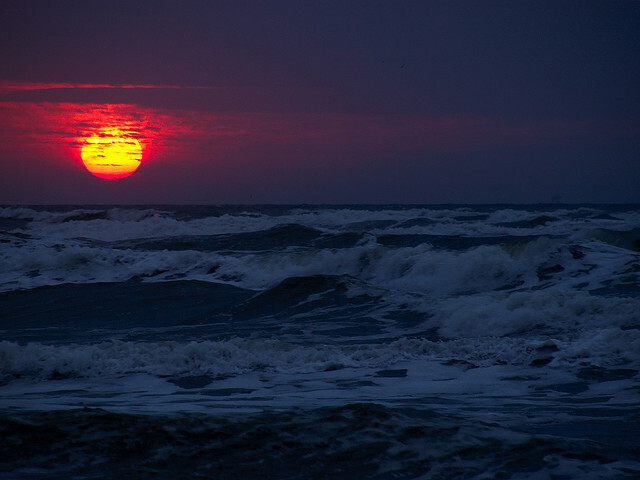 The best waves are on the south end of town alongside the South Padre Island Jetties. 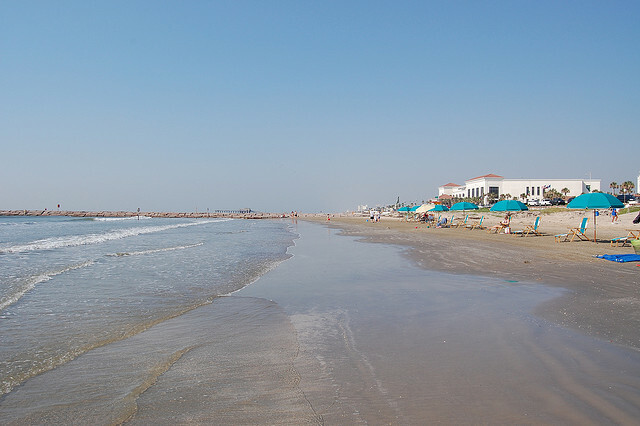 Other great beaches for wave seekers include Surfside (perhaps not surprisingly), Matagorda (though the water can be murky brown nasty) and Mansfield Jetty (65 miles south of Port Aransas, 30 miles north of South Padre Island). 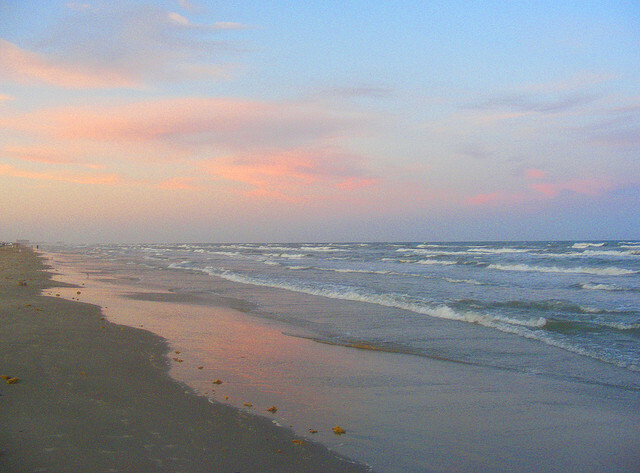 What’s the Prettiest Beach in Texas? That’s like asking which is your favorite kid (even though we all definitely have a favorite kid, right?). As I mentioned previously, I am partial to Crystal Beach but there are lots of gorgeous coastal areas up and down Texas. 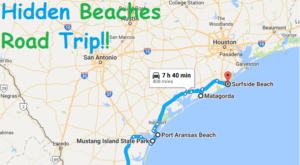 Make sure you check out Surfside Beach, Rockport Beach and Matagorda Bay Nature Park. After writing this article, I’m definitely ready to put on my swimsuit and sink my toes into the sand! 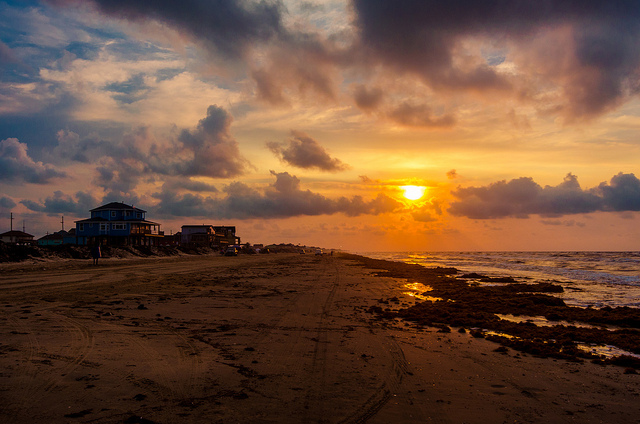 What are some of your favorite beach destinations in Texas? Tell us in the comments below!